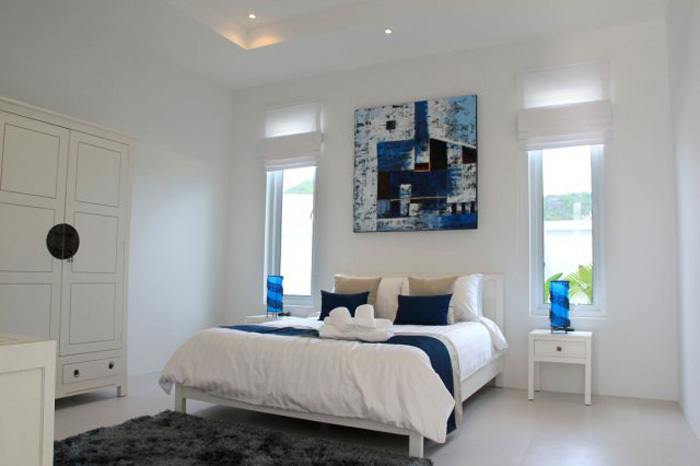 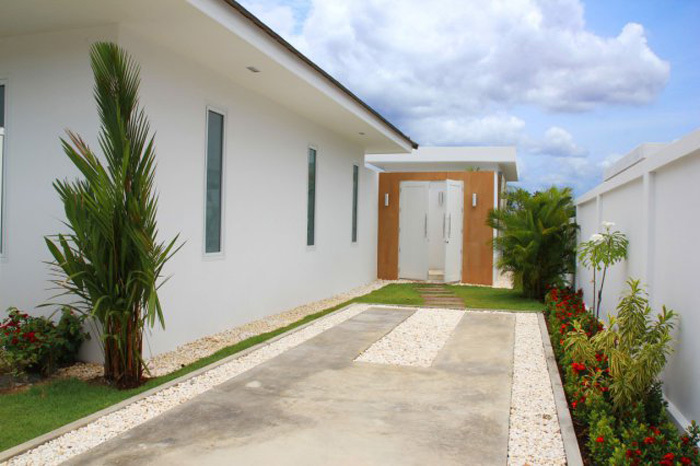 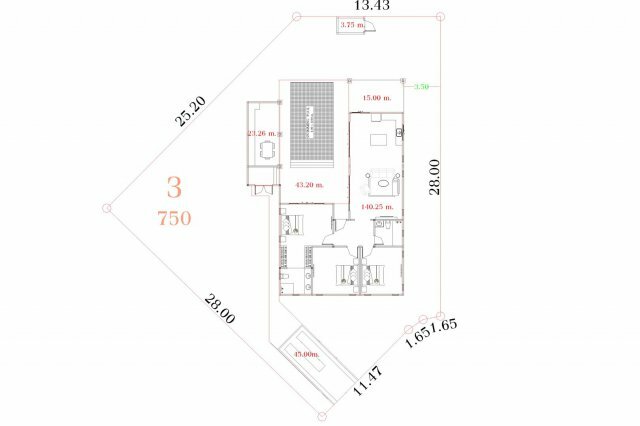 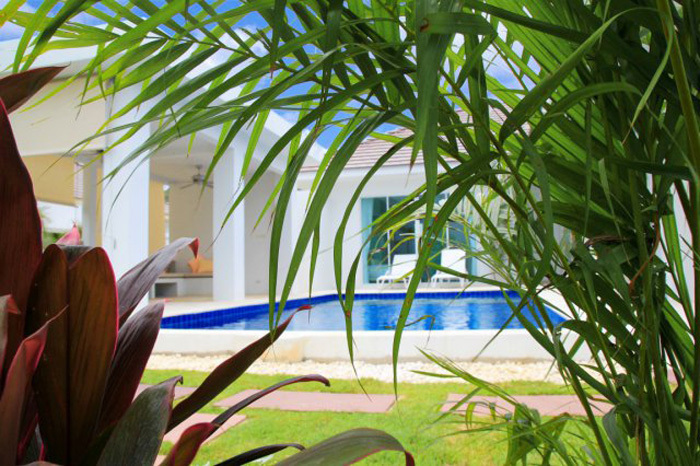 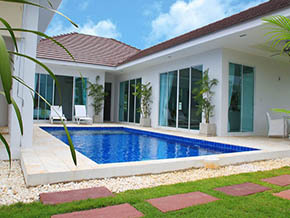 The villa has a large open plan living, dining and kitchen area, 3 good sized bedrooms and 2 bathrooms. 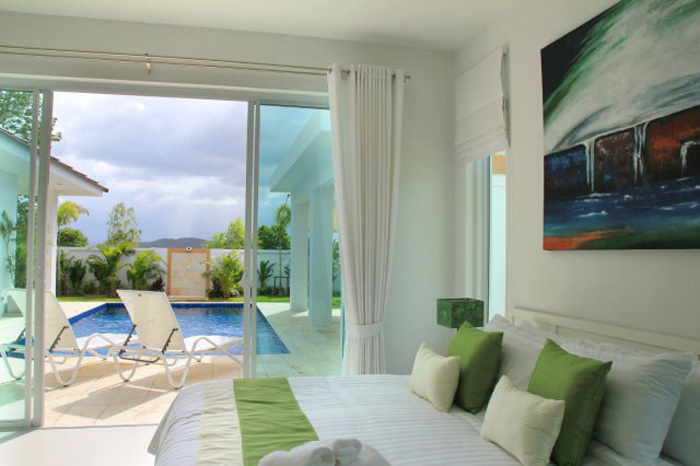 There is great pool view from the master bedroom and living room because of big panoramic windows. 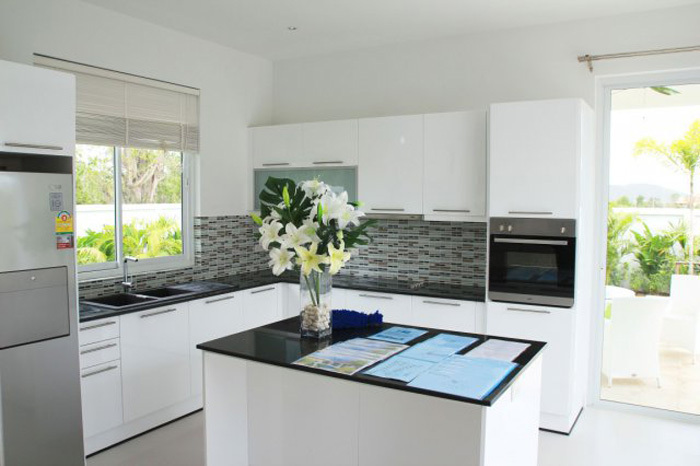 Kitchen is equipped with modern furniture. 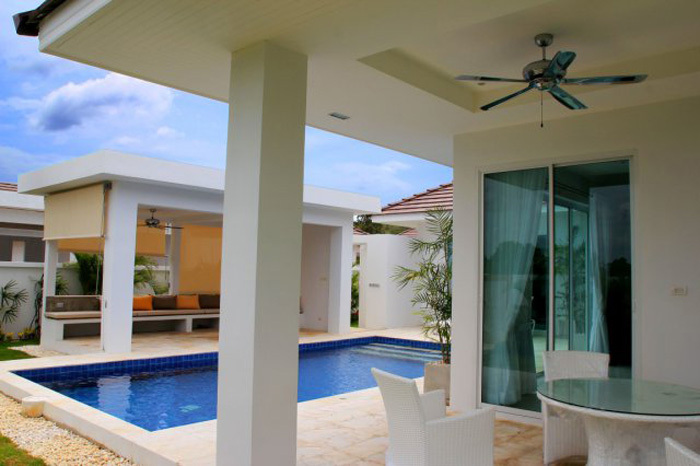 Outside is a large covered terrace from the kitchen for dining among the tropical gardens. 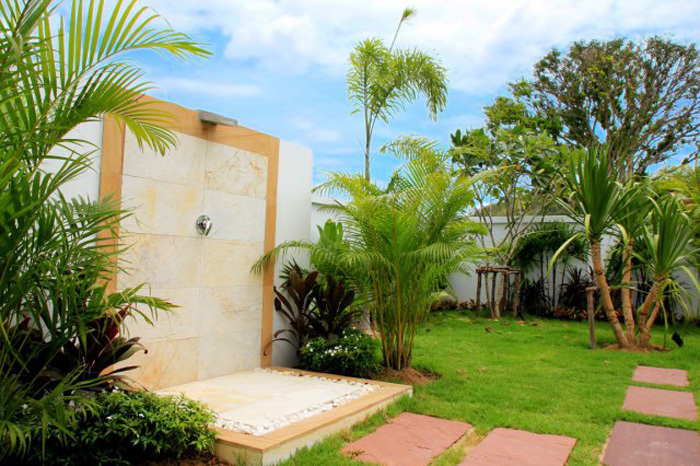 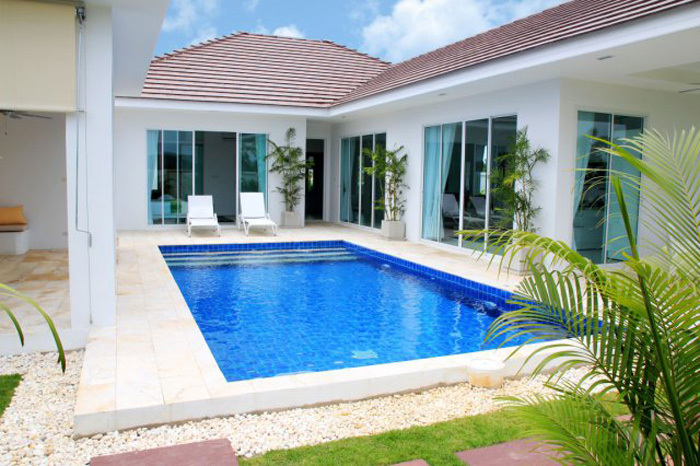 Large swimming pool size: 8 x 4M is the center of the design conception of the house. 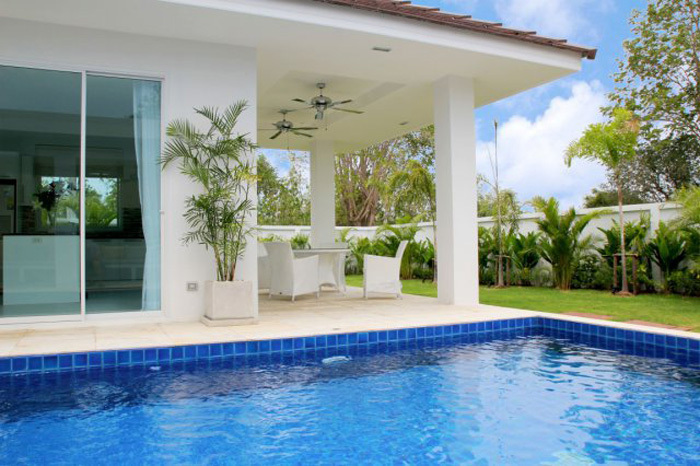 A large covered pool side sala for entertaining and a spacious courtyard for lounging in the sun. 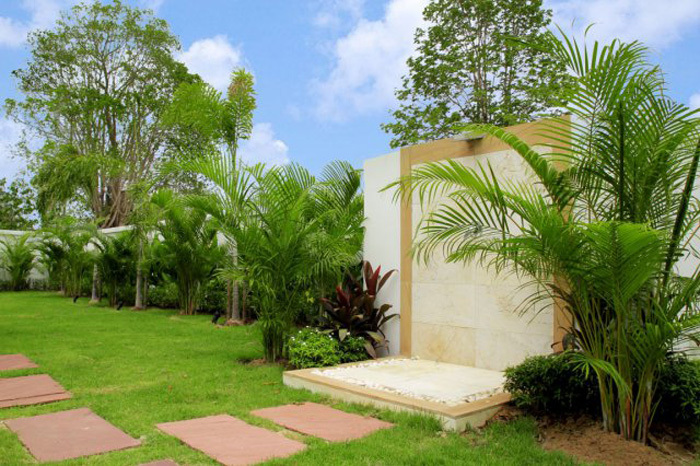 The gardens are tropically planted. 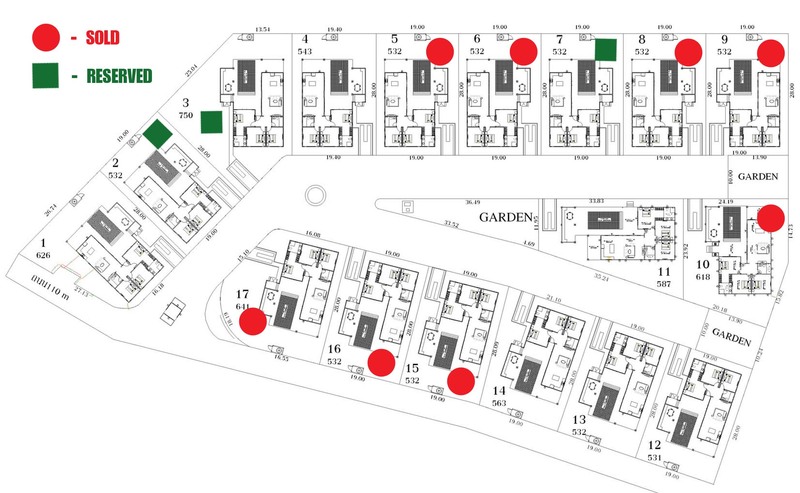 2 cars can be easily parked at the spacious parking in front of the entrance. 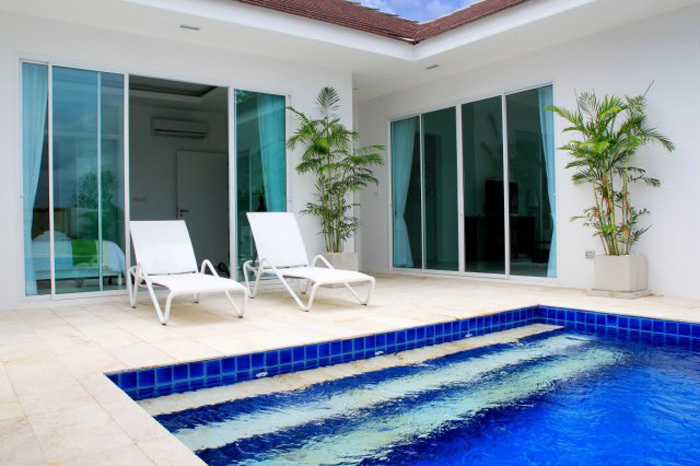 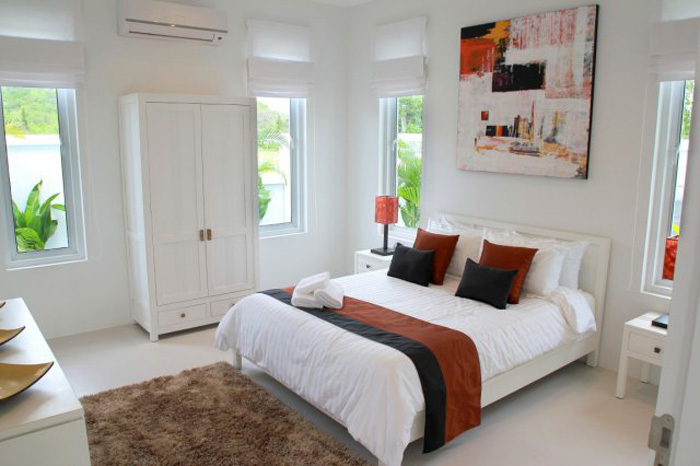 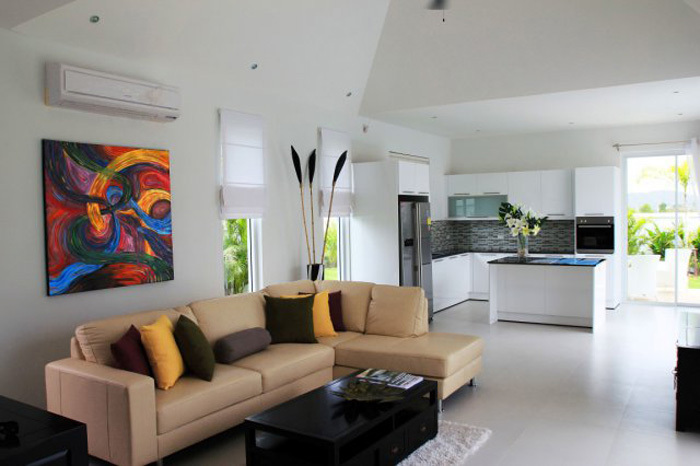 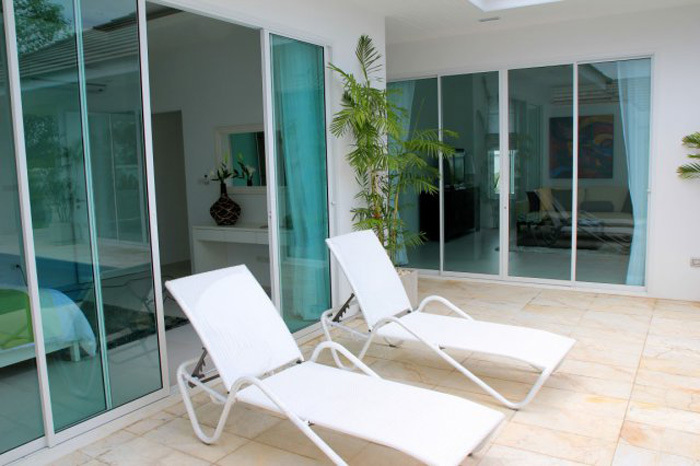 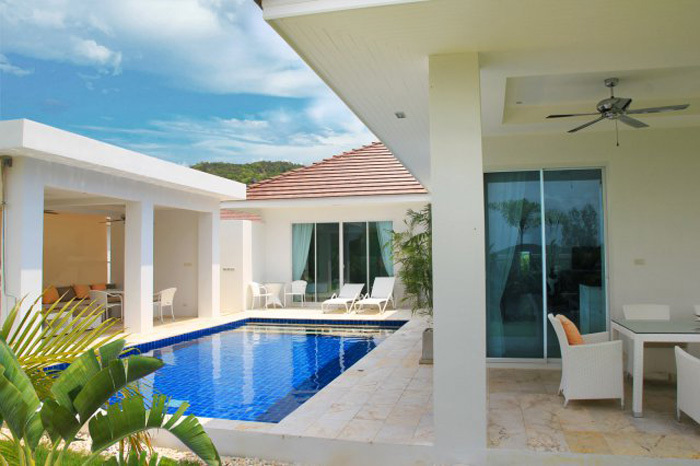 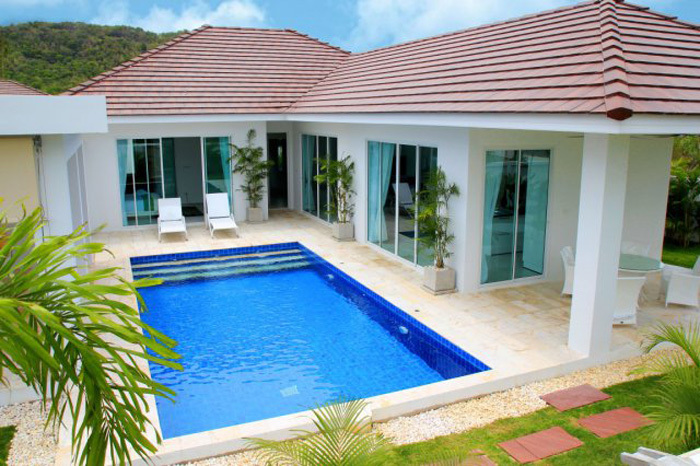 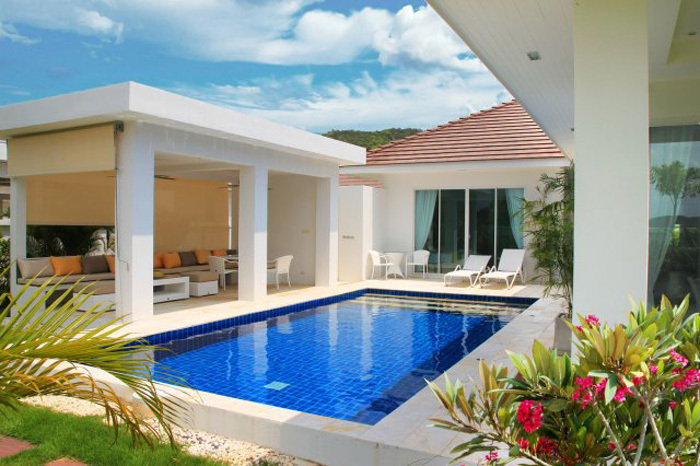 Each villa can be fully furnished.